NWO has awarded seven proposals for innovative research infrastructure within the programme NWO Investment Grant Large. With this programme, NWO funds large research facilities, within which researchers from throughout the Netherlands work together, often with international partners. Erik Verhoef, together with Jasper Knockaert, Paul Koster (all Spatial Economics) and Henk Scholten, Eric Koomen, and Maurice de Kleijn (all SPINlab) participates in the TU Delft project Urban Mobility Observatory (UMO). Real-life data and observations are crucial for getting a better understanding of the complex and rapidly developing urban mobility system. UMO is a coherent system of sensors and ICT infrastructure able to observe traffic flows and to combine data from different sources (cameras, mobility, phones, questionnaires etc.). 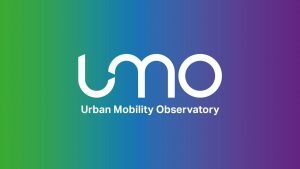 UMO collects and stores all sorts of traffic, transport and mobility data which are made available for research into mobility and transport in urbanized regions. ← Welke invloed heeft de omgeving op onze gezondheid?